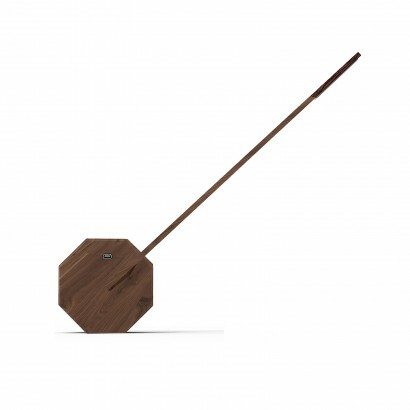 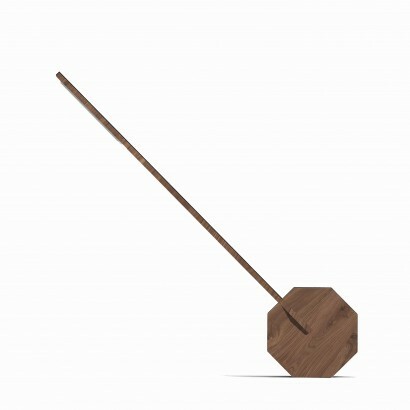 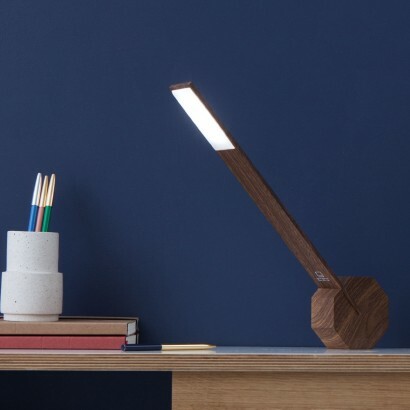 A simple, yet elegant design, the Gingko Octagon desk light ticks all the design boxes, combining industrial style with the warmth and elegance of a walnut wood finish. 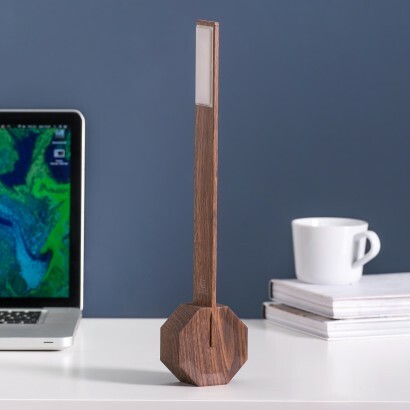 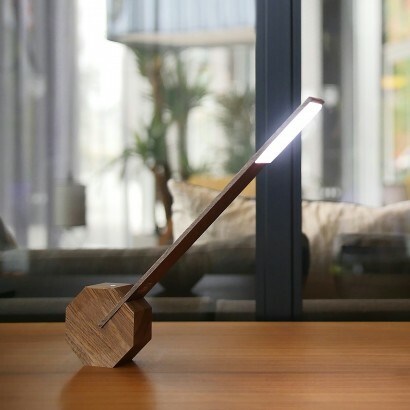 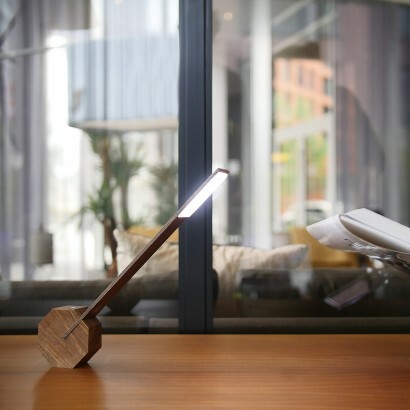 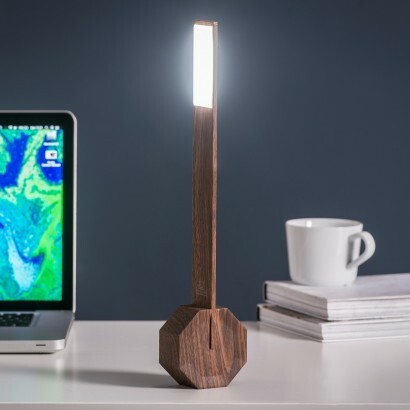 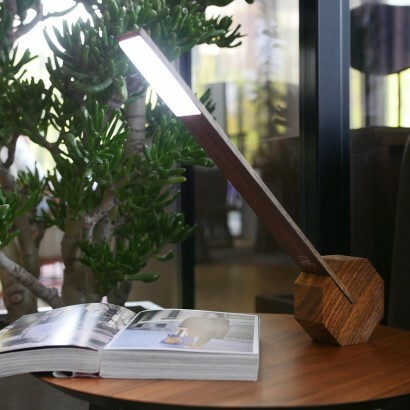 The focal point of the lamp is the octagonal base that allows the lamp to sit in various positions for best illumination of your desk space, and with 36 LEDs shining with day white light, this stylish lamp lamp allows you to focus well after dark. 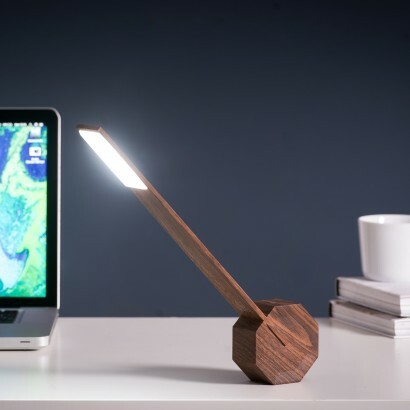 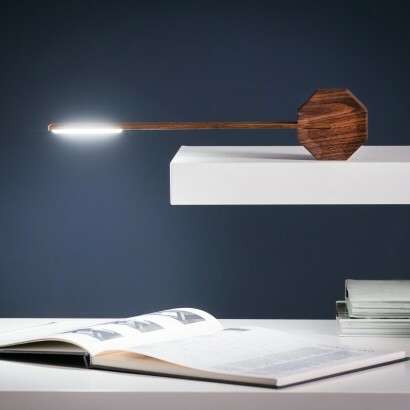 Adjust the brightness of the light by touching the sensor on/off button and charge using a USB for up to 48 hours use from a single charge allowing you to place this award winning wireless lamp anywhere and at a whole range of angles for maximum illumination.